Google revealed the promise of a cloud gaming platform, Stadia last Tuesday. The service would make gaming possible through any device—anything from a PC to a TV or a phone—through streaming, making gaming consoles potentially obsolete. Pricing for this bombshell service wasn’t released at the Game Developers Conference last week. 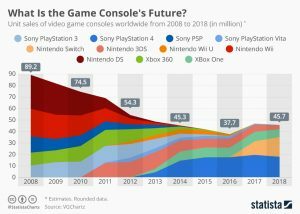 Unit sales for the gaming console has decreased over the past decade. Back in 2008, the Nintendo DS and Nintendo Wii came into vogue, and dominated the market. Since 2013, the Sony PSP has had a steady run over the past 5 years. 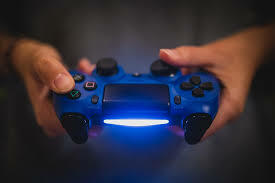 Overall the number of video game consoles sold worldwide has shrunk by half, from around 90 million devices sold in 2008 to only about 45 million in 2018.